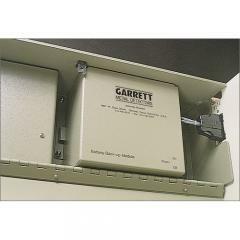 Garrett Walk-Through Metal Detector Battery Backup Module FREE SHIPPING! Battery Backup allows convenient 12V operation and operates up to 20 hours on one charge. ©2002-2019 CopsPlus.com: Garrett Walk-Through Metal Detector Battery Backup Module FREE SHIPPING!